Ulmus minor, East Coker, Somerset, Bretlandseyjar. Álmar (fræðiheiti: Ulmus) eru ættkvísl laufrjáa af álmsætt. Eina álmtegundin sem hefur verið ræktuð á Íslandi hingað til er Álmur (Ulmus glabra). Hérlendis hefur hún náð allt að 12-13 m hæð. Byggt á Wiegrefe et al 1994. Ulmus eolaciniata var fluttur frá Ulmus til Rubus eolaciniata af Tanai og Wolfe in 1977. ↑ Wiegrefe, S. J.; Sytsma, K. J.; Guries, R. P. (1994). „Phylogeny of elms (Ulmus, Ulmaceae): molecular evidence for a sectional classification“ (PDF). Systematic Botany. 19 (4): 590–612. ↑ Tanai, T.; Wolfe, J. A. (1977). „Revisions of Ulmus and Zelkova in the middle and late Tertiary of western North America“ (PDF). US Govt. Print. Off. 1026. Armstrong, J. V.; Sell, P. D. (1996). „A revision of the British elms (Ulmus L., Ulmaceae): the historical background“. Botanical Journal of the Linnean Society. 120: 39–50. doi:10.1111/j.1095-8339.1996.tb00478.x. Sótt 26. október 2017. Bean, W. J. (1981). Trees and shrubs hardy in Great Britain, 7th edition. Murray, London. Brasier, C. M. (1996). New horizons in Dutch elm disease control. Pages 20–28 in: Report on Forest Research, 1996. Forestry Commission. HMSO, London, UK. Burdekin, D.A. ; Rushforth, K.D. (November 1996). Revised by J.F. Webber. 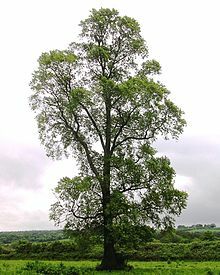 „Elms resistant to Dutch elm disease“ (PDF). Arboriculture Research Note. Alice Holt Lodge, Farnham: Arboricultural Advisory & Information Service. 2/96: 1–9. ISSN 1362-5128. Sótt 26. október 2017. Collin, E. (2001). Elm. In Teissier du Cros (Ed.) (2001) Forest Genetic Resources Management and Conservation. France as a case study. Ministry of Agriculture and Fisheries, Bureau of Genetic Resources. INRA DIC. France. Melville, R. & Heybroek, H. (1971). Elms of the Himalaya. Kew Bulletin, Vol. 26 (1). Kew, London. Richens, R. H. (1983). Elm. Cambridge University Press. Ware, G. (1995). Little-known elms from China: landscape tree possibilities. Journal of Arboriculture, (Nov. 1995). International Society of Arboriculture, Champaign, Illinois, USA. .
Þessari síðu var síðast breytt 20. febrúar 2018, klukkan 21:34.